YOU MAY REGISTER AT THE DOOR IF YOU NEED TO. PRICE IS $69.00 AT THE DOOR AND YOU MAY BRING A FRIEND AT NO ADDITIONAL CHARGE. Register for $250.00 and BRING up to 10 GUESTS (that's $25.00 apiece). $69.00 PER PERSON until further notice. Colonel Grossman (center) with the employees of Sheepdog Defense Group. LEFT: Bill Waybourn, former Police Chief at Dalworthington Gardens, Texas, will also be one of our presenters. 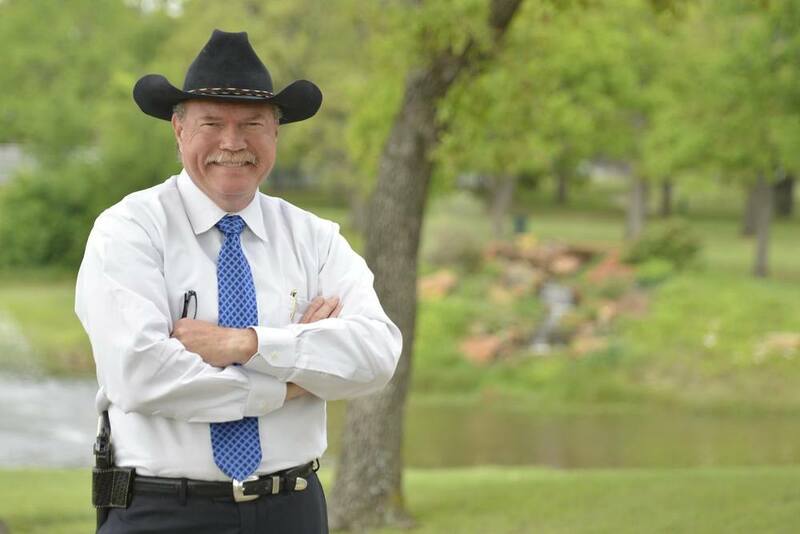 Chief Waybourn is is a candidate for Sheriff of Tarrant County, Texas. OPTION 1 - $69.00 until further notice. Click own Pay Pal directly below for $69.00 reservation. OPTION 2 - $250.00 AND YOU MAY BRING 10 GUESTS (WHEN REGISTERING, ONLY REGISTER ONE PERSON - AND IT WILL AUTOMATICALLY CHARGE $250.00. Do not worry about the names of your guests. You may email us the list when you have it compiled.). Click on Pay Pal logo directly below to choose Option 2. OPTION 3 - For $150.00 you can bring 5 to 9 guests - that's about 30 dollars apiece. Do not worry about the names of your guest. Simply purchase one ticket and bring the guest(s) the day of the seminar. Click on PayPal below. LOCATION OF EVENT WILL BE AT HARVEST BAPTIST - THE SITE OF THE SEMINAR. THE MOVIE IS OPEN TO THE PUBLIC AND ADMISSION IS FREE. A LOVE-OFFERING IS RECEIVED, ALL OF WHICH GOES TO HEARTSTONE PICTURES.